Ashley has shadowy memories of her mother taking her to her favorite place, the library. 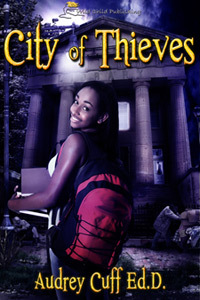 Reading a good book allows Ashley to escape her poverty and crime infested community. One afternoon after listening to the mayor’s press conference, Ashley discovers that the mayor is taking away the community library. In spite of being put on punishment for a week by her grandma for defending herself from the school bullies, Ashley feels it is worth the risk to sneak out of her apartment to mail a letter she has written to the mayor about keeping the library open. This entry was posted on Thursday, December 11th, 2014 at 4:47 pm	and is filed under BOOKS- RECOMENDED-, Health and Spa. You can follow any responses to this entry through the RSS 2.0 feed. Both comments and pings are currently closed.